Roger Whittaker is known among many folk music lovers as a superb "balladeer" and for good reason -- he was one of only a few whose folk songs appeared on Top 40 radio in the 60s and early 70s on a fairly regular basis. Well there is someone carrying on his folk tradition with fluidity and grace in his own style honed in British Columbia who now performs from a Florida base. 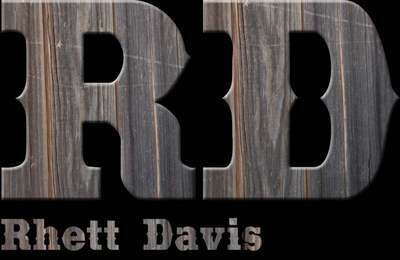 And his name is Rhett Davis, who sings with pure verve and joy. There are many wonderfully melodic songs in his portfolio; my personal favorite is "I am the Eagle." Thanks to Internet Radio presenters such as Chris Hawk of "American Thunder" on Scotland's Splash Radio, Davis is enticing the ears of a world-wide audience with a sparkling style and much substance. His music draws us in gentlly with a fashion woven from the same cloth as the folk legend from a previous generation. Rhett Davis has logged more than 45 years at the "University of Musical Life" and still has not graduated! The learning process is ongoing. As a lounge and nightclub performer he has taken classes from Vancouver to Nashville, New York to Tel Aviv and LA to Orlando. His music is drawn directly from his experiences as a world traveled songwriter and performer. Rhett was born in England, emigrated to Canada and grew up in the Okanagan Valley in British Columbia. He was lead singer and front man for a local group "THE WINMEN". They recorded a regional hit "A Nickel Piece of Candy" and played major venues in B.C. and Washington State. After the long time school buddies went their separate ways, Rhett joined a well-established Toronto nightclub act, "THE HILITES" that performed in major venues, conventions, lounges and television in US, Europe, The Mid- East and Canada. When the HILITES disbanded, Rhett returned to Nashville where he had recorded "(A Nickel Piece of Candy") and renewed a relationship with his long time friend and mentor, the late Floyd Cramer. Together they formed Ivory Productions and he wrote songs for country music artists, Eddy Arnold (Making Memories), Brian Collins (I Wish You'd Stayed) and David Rogers (Somewhere There's A World Called You). It was here that he wrote and produced his Top Twenty hit, "I Am The Eagle". Rhett and his family now live in Winter Park, Florida where he performs in local lounges and nightclubs. His latest release "SPIRITS" (all original material) is a collection of some previous favorites and several great new songs. You will also find other new songs that are now available online.